There was once a television commercial for a well-known credit card company which claimed, “We treat you like you’d treat you.” It features a telephone conversation with two young men who look a lot alike. One has an affinity for frogs. The other is the credit card company representative. “Hey! I heard you guys can help me with frog protection?” the potential customer asks the representative as he lovingly strokes the head of his giant, green, pet frog. “Yeah, we provide fraud protection,” the representative responds and then proceeds to deliver a short pitch about the benefits of opening an account. “Just to be clear, you are saying frog protection,” the potential customer asks. causes of high-frequency hearing loss. “Fraud protection,” the representative says, as if he heard clearly. “I think we’re on the same page,” the potential customer summarizes. “We’re totally on the same page,” the representative concurs. This is a funny scenario when you’re watching it play out on television, but not quite so funny when it occurs in your daily life because of hearing loss. Take high-frequency hearing loss, for example. People with this condition have trouble hearing sounds in the 2,000 to 8,000 Hertz (Hz) range. In speech, this includes consonants such as s, h or f. Adults with high-frequency hearing loss may have trouble understanding female voices more than male voices and difficulty hearing birds sing or the high-pitched beeping coming from their microwave oven. Speech may seem muffled, especially when using the telephone or in noisy situations. When children have high-frequency hearing loss, it can impede their ability to learn speech and language, affecting their ability to excel in school. Regardless of your age, high-frequency hearing loss can affect your quality of life, creating anxiety, depression and social isolation. High-frequency hearing loss occurs when the sensory hearing cells in your cochlea die or are damaged. These hair cells are responsible for translating the sounds your ears collect into electrical impulses, which your brain eventually interprets as recognizable sound. High-frequency sounds are perceived in the lower part of the cochlea, while the hair cells that perceive low-frequency sounds are located near the top. Because of this, hearing loss typically affects the higher frequencies before it affects the lower frequencies. People of all ages can be affected by high-frequency hearing loss — and the reasons causing it are just as varied. Noise - According to the National Institute on Deafness and Other Communication Disorders (NIDCD), more than 10 million Americans have suffered irreversible damage due to noise-induced hearing loss (NIHL), with 30-50 million more exposed to dangerous noise levels on a daily basis. The damage can occur as the result of a one-time, loud exposure to noise, such as a gunshot or explosion, or can occur over time with constant exposure to noise louder than 85 decibels (dB). Aging - Hearing loss that occurs as the result of the aging process is called presbycusis. Because this is a slow process which usually affects both ears equally, it’s often difficult to notice. One of the first signs is the inability to understand speech in noisy environments and high-frequency sounds. Genetics - Check your family history. If your relatives developed high-frequency hearing loss, you may be genetically predisposed to developing it as well. Ototoxicity - Some types of drugs are ototoxic, meaning they are harmful to your hearing health. Some of the more common ototoxic drugs include salicylates (aspirin) in large quantities, drugs used in chemotherapy treatments and aminoglycoside antibiotics. Diseases - Meniere’s disease, which affects the inner ear, often occurs between the ages of 30-50 and may include fluctuating hearing loss, tinnitus and vertigo or intense dizziness. In children, chronic otitis media (commonly known as an ear infection) can lead to hearing loss if it’s untreated. If your child has chronic, recurring ear infections, please consult your pediatrician or an otologist for medical treatment before it affects their speech and language development. High-frequency hearing loss isn’t reversible, but in some cases, it is preventable. One of the best prevention techniques is to protect your hearing against exposure to noise – especially noise louder than 85 decibels (dB). 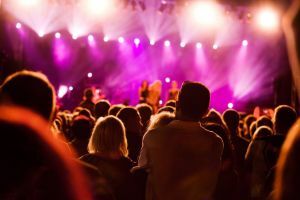 Keep the volume turned down on your personal electronic devices and wear hearing protection whenever you anticipate being in a noisy environment, such as at the shooting range, when riding snowmobiles, or when attending a live concert or sporting event. Inexpensive ear plugs are available at the local drugstore for occasional use. If you regularly engage in very noisy hobbies, consider investing in specialized hearing protection such as noise cancelling headphones or custom-made earmolds which can be purchased through many hearing healthcare professionals. As you can see, high-frequency hearing loss can result from many different underlying causes, most of which are not medically treatable. Fortunately, high-frequency hearing loss can be corrected with hearing aids in most cases. If you suspect you have hearing loss, make an appointment to see a hearing health professional to get your hearing tested. If your tests indicate you have hearing loss which can be treated with a hearing device, such as hearing aids or cochlear implants, be sure to follow through with treatment recommendations. Research indicates most hearing aid wearers are satisfied with their hearing devices and enjoy a richer quality of life than those who decide not to seek treatment. That's primarily because hearing aid technology has improved dramatically in the past 10 years. Not only are hearing aids more comfortable than ever, they have great sound quality even in high noise environments, and they connect easily to other personal electronic devices, including your smartphone. Unlike devices from decades past, today's hearing aids don't just make all sounds louder. Instead, the sound is completely customizable to provide amplification for only the sounds you're missing - a godsend for people with high-frequency hearing loss. And, at the very least, hearing the television better might just make it easier to understand those funny frog protection commercials — or know when it's time to change the channel. June is Men’s Health Month, a call-to-action for men of all ages to take care of their health. So, this month, the Better Hearing Institute (BHI) is reminding men—and the women who care about them—that hearing health is an important part of whole health. In fact, research increasingly shows a link between hearing loss and other significant health issues—from depression to cognitive decline. It also shows that addressing hearing loss often has a positive impact on quality of life. Below are some eye-opening numbers on men and hearing loss. And further down are three good reasons to talk hearing health with your doctor at your next physical exam. Men (20-69 years) are nearly twice as likely to have hearing loss as women. More than half of men who say they have difficulty hearing think their hearing loss was caused or contributed to by noise on the job or loud recreational activities—like hunting, firecrackers, blaring music, or using earbuds or headphones. About half of the men surveyed with untreated hearing loss say they’ve felt down, depressed, or hopeless for several days or more in the last two weeks. Those who used hearing aids were less likely to say they felt that way. Similarly, about half of the men surveyed with untreated hearing loss say they’ve been bothered by little interest or pleasure in doing things for several days or more in the last two weeks. Again, those who used hearing aids were less likely to say they felt that way. Hearing loss is linked to other serious health issues. A flurry of studies in recent years has linked hearing loss to other serious health issues, including depression, sleep apnea, dementia, diabetes, cardiovascular disease, moderate chronic kidney disease, rheumatoid arthritis, and an increased risk of falls, hospitalization and mortality. Treating hearing loss can bring many quality-of-life benefits. Research shows that when people with hearing loss use hearing aids, it often has a positive impact on several aspects of their quality of life. Consider just these few: People with hearing loss who use hearing aids are more likely to be optimistic, feel engaged in life, and even get more pleasure in doing things. What’s more, using hearing aids reduced the risk of income loss by 90 to 100 percent for those with milder hearing loss, and from 65 to 77 percent for those with severe to moderate hearing loss, according to a BHI study. People with untreated hearing loss lost as much as $30,000 in income annually, the study showed. Hearing aids have advanced dramatically, even in just the last couple of years. Today’s hearing aids are high-tech, tiny and discreet, easy-to-use, and perform far better than ever before. In fact, a national survey showed that the vast majority of people who purchased hearing aids in the last year are glad they did (91%). They’d even recommend getting hearing aids to family members and friends (90%).